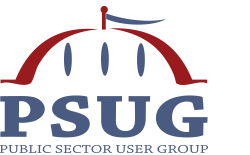 The Higher Education User Group recognizes that our members continue to want to work with other members that are geographically close to them and face similar issues. The US Regional Alliance Conferences are events for members from the United States and Canada that have a need and desire to work with other institutions within a close proximity. Institutions outside of these regional groups are welcomed to join, and are encouraged to subscribe and participate in all aspects of their community. Use the links below to view the US Regional Alliance Conference pages and be part of the conversation! For complete details on exhibiting at each conference, please go here. Contact Tom Chambers at exhibitors@heug.org or call (602) 845-5972 with questions.